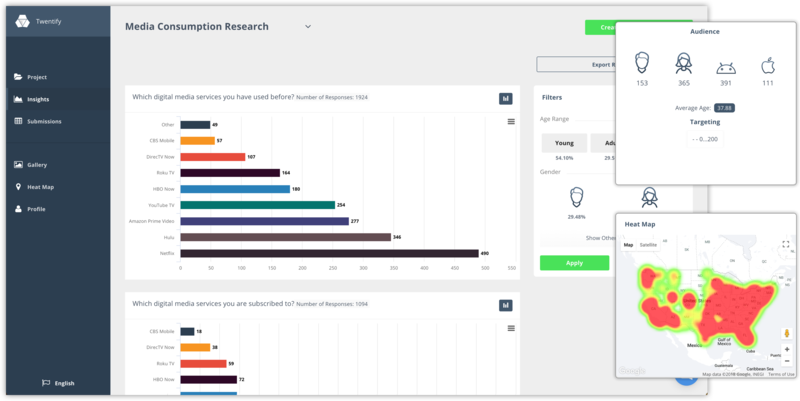 Using Twentify's customer dashboard, you can see collected research answers in real-time, analyze data visually using reporting module, and get Excel or PDF reports. 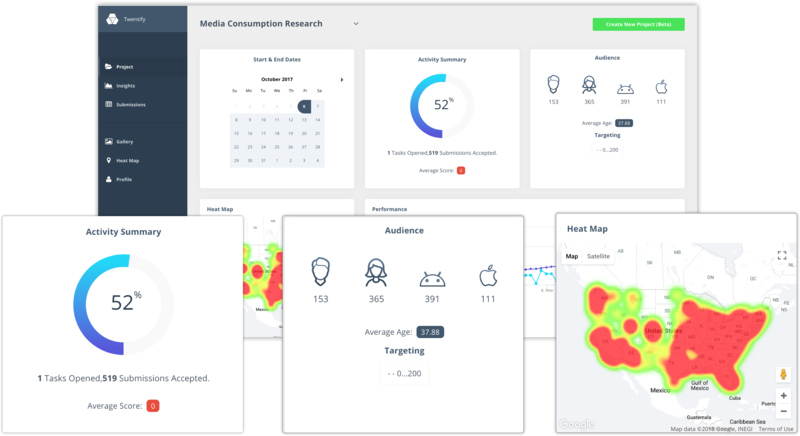 Twentify Customer Dashboard is a web platform that allows you to access project answers and analysis in real-time, design research projects in a self-service model, and get reports. Using the reporting module on Customer Dashboard, you can see the visual analysis of answers and generate insights, observe the changes in different consumer segments, and download Excel of PDF reports within minutes. 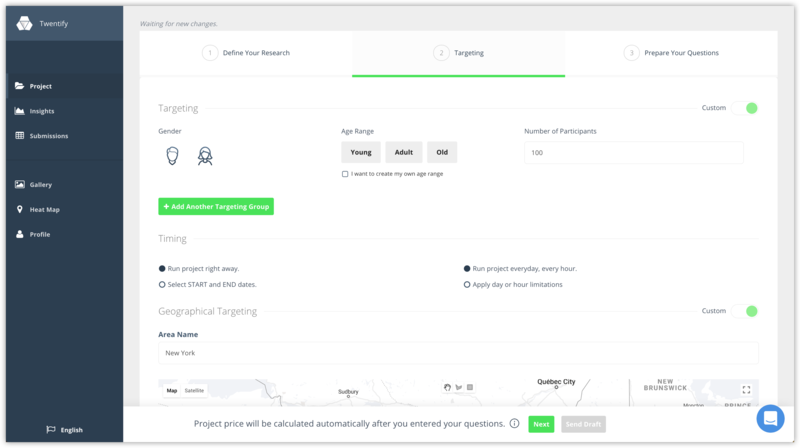 Using the Self-service module, you can design research projects without losing time on e-mails or phone by creating your questionnaire and set your targeting. Using the gallery module on Customer Dashboard, you can access all photographs, videos, and voice recordings, watch/listen/observe them, and download to use your internal/external presentations. Market research is at your fingertips. Using Twentify customer dashboard, observe the status of your research projects instantly, and access answers in real-time.